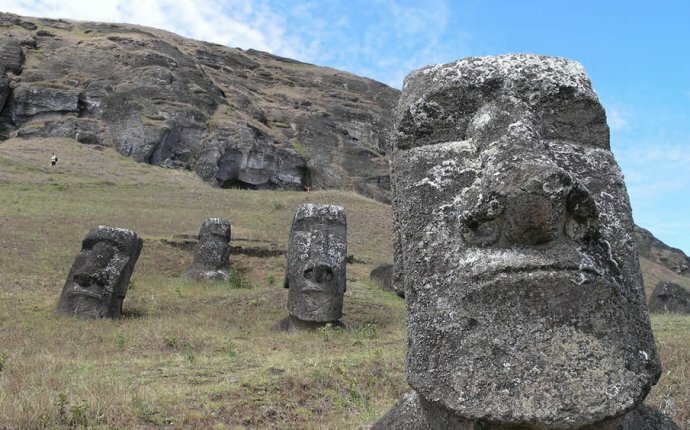 Human civilizations have been building monuments for thousands of years in order to honour their culture, their religion and gods, to remember historic moments and to honour their loved ones. Here are 18 of the most incredible monuments ever built. These are abandoned monuments that are scattered across the former Soviet Union. Before it collapsed the Soviet Union had an area of 8.65 million square miles and within that vast area lived a population of 290 million people. The Temple of the Jaguar is one of many impressive Mayan temples that is perched on top of high pyramids located in the jungles of Central America. Built to house the tomb of one of the city's most successful rulers, it is located in the ancient city of Tikal. This impressive ancient temple now known as Angkor Wat took 30 years of hard labor to construct, and its clear all that time was worth it judging by the ruins that still remain to this day. Built in the 12th century, the temple is praised for its impressive architecture and artistic appeal. This structure is actually the worlds largest mud brick building in the world. The original Great Mosque of Djenné in Mali was commissioned in the 13th century but most of the structure was demolished in the 1830s to make way for a smaller mosque. The current incarnation of the mosque that stands today was build between 1906 and 1907. Perhaps one of the most famous landmarks in London, the church was founded in the 7th century. Since then many important events have been conducted at the site including the 80th birthday party of Queen Elizabeth, Lady Diana and Prince Charles wedding and the funeral of Sir Winston Churchill. The Metéora Monasteries are perhaps one of the most mind blowing feats of engineering you are ever likely to see. The collection of Eastern Orthodox Greek monasteries perch like birds nests on top of giant sandstone peaks. The monasteries provided mountain strongholds for the monks that lived their. The only means of getting up or down from these pillars was by a long rope ladder. Out of the 24 monasteries that were built, six of them still remain operational. Mount rushmore is perhaps one of the most famous monuments in the world, and one of the most famous in the USA. It took fourteen years to complete by hundreds of workers. The monument features three notable presidents, George Washington, Theodore Roosevelt, Jefferson and Abraham Lincoln. Standing at 98m high the Statue of Liberty is probably the most famous monument in the world. Located in Liberty Island in the middle of New York Harbor, in Manhattan, New York City. Work started on the statue in 1875 and it was opened to the public in 1886. Located on the outskirts of Cairo, Egypt, this huge complex of ancient monuments includes the great pyramid of Giza and the impressive sculpture known as the Great Sphinx. The pyramids are a symbol of the high culture of dynastic ancient Egypt. The Taj Mahal is located in Agra, Uttar Pradesh, India. It was built by Mughal emperor Shah Jahan in memory of his third wife Mumtaz Mahal. Today the Taj Mahal stands as a monument of love and a symbol for India. The Great Wall of China is a long series of walls built from stone, brick, tamped earth and other materials. The wall runs along from east-to-west across the historical northern borders of China. It was built to keep out nomadic groups and prevent military incursions. The wall continues for a mind blowing 13, 171 miles.